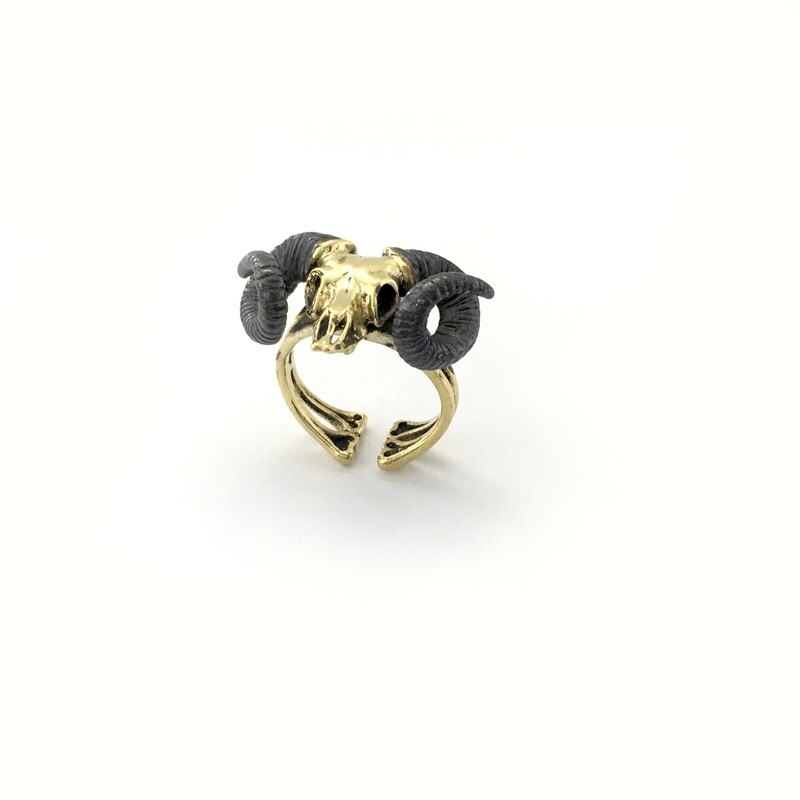 Zodiac Ramble skull ring is for Aries in Brass and oxidized antique color ,Rocker jewelry ,Skull jewelry,Biker jewelry Ramble skull is for Aries boundaries 21 March –19 April Free size Ring size is minimum at 5 US - 7 US I can also make the ring as per your require size Care instructions: "metal will naturally oxidize over time. You may see a patina develop over your jewelry. To enjoy this antique look simply wear your jewelry as usual. If you prefer a shinier look, use a metal cleaner, metal polishing cloth or lemon juice to restore your jewelry's luster. All item will arrive with mafia fabric bag put in mafia jewelry box look great.Aries Skull Ramble Zodiac ring Patina color Ramble skull is for Aries boundaries 21 March –19 April Free size Ring size is minimum at 5 US - 7 US I can also make the ring as per your require size Care instructions: "metal will naturally oxidize over time. You may see a patina develop over your jewelry. To enjoy this antique look simply wear your jewelry as usual. If you prefer a shinier look, use a metal cleaner, metal polishing cloth or lemon juice to restore your jewelry's luster. All item will arrive with mafia fabric bag put in mafia jewelry box look great.